Today we joyfully celebrate the Feast of St. Matthew, Apostle and Evangelist as we remember and pray for all the apostles of today: our Holy Father Pope Benedict XVI, all Bishops, Priests and Missionaries who faithfully follow the footsteps and the commandment of the Lord. 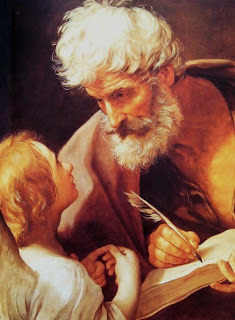 We know very little of St. Matthew except that he was a tax collector as recorded in St. Matthew’s Gospel. He was also known as Levi, a Jewish name, by Sts. Luke and Mark. His profession as a tax collector was despised by many people for it was easy for such a person at that time to line his own pockets with more than the taxes legally due. This line of work fell under the religious ban and the Jews of strict observance considered him to be unclean and would have nothing to do with him. Therefore, St. Matthew’s vocation is one of the greatest experiences recounted in the Gospel where Jesus plainly teaches that God desires mercy, not sacrifice. Jesus saw in Matthew the true person he could become and not the person that he was at the time. St. Bede the Venerable also teaches in his homily that Jesus saw Matthew, not merely in the usual sense, but more significantly with his merciful understanding of men. St. Bede went on to tell us that no sooner was he converted, Matthew drew after him a whole crowd of sinners along the same road to salvation. How can we, as children of our heavenly Father, become one of mercy, compassion and understanding toward those we live with? To those we meet each day? And to those we have not met but recognized that they need our mercy? As was told in the Gospel, upon hearing the call of Jesus, Matthew left all that he had and immediately followed Him. His response was one of generosity and without measure or counting the cost. The quick response of St. Matthew reminded me of the story of one of our aspirants, Tara Clement. Tara came to us through the referral of one of our Dominican Friars of the Western Province ministering at the Holy Family Cathedral in Anchorage, Alaska. She was a convert to Catholicism only a few years ago but her love for the Lord has led her to the strong desire of abandoning all earthly goods upon finding the one treasure…Jesus Christ Himself. Tara's conversion began when a co-worker friend of hers invited her to Mass. Although she didn't understand the Mass, she couldn't find anything that was contrary to the teaching of the Bible. So Tara started to look more closely into the Catholic Church so that she could better "evangelize" her friend about the "Christian" truth. 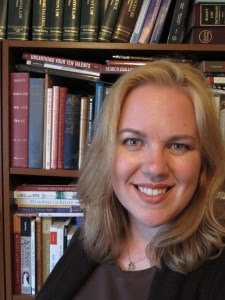 Tara turned to Scripture and the Catechism of the Catholic Church and discovered the truth lay in the Catholic Church through the guidance of the Holy Spirit. The rest is history. Even though Tara has been a very active Catholic in her own parish, she still finds something missing in her life and for the last few years, rigorously discerned the call to religious life. Tara found herself drawn gradually to giving herself entirely to Christ as a Dominican contemplative. 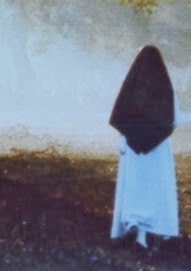 She has investigated different orders and congregations and spent a month within the enclosure of our monastery to further discern her vocation. In Tara’s own words: My heart’s desire is to offer myself, my gifts and talents to Christ in the cloister of a Dominican monastery, in contemplation and prayer, for the salvation of souls. Tara has tasted and seen the goodness of the Lord and like St. Matthew, has found the incorruptible treasure of heaven. Despite the fact that her educational debt is huge, Tara does not lose hope or faith in God. Entrusting herself entirely to the Divine Providence, Tara is currently working very hard as a self-employed attorney and with the Laboure Society to eliminate her debt so as to be free for God alone. 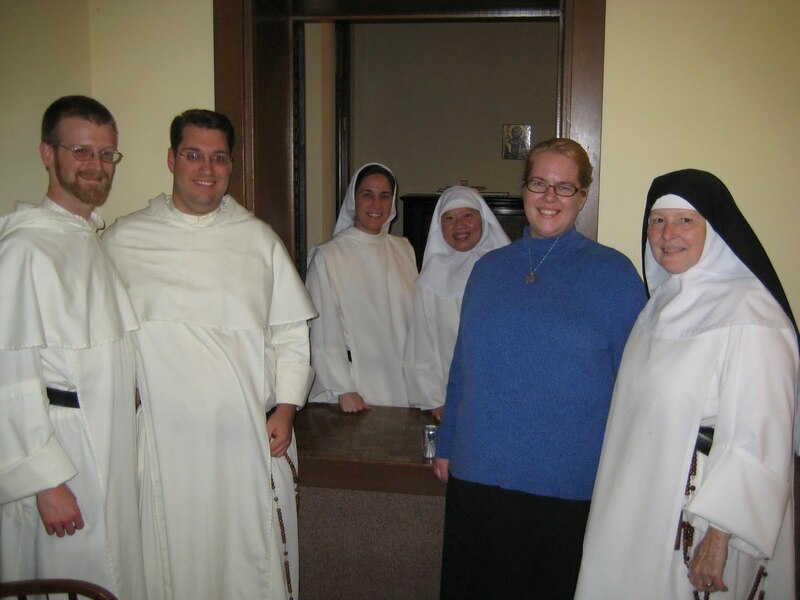 Tara has also created a blog to record her journey to becoming a contemplative Dominican nun at supporttarsvocation.wordpress.com. She would appreciate your support, prayer or just a word of encouragement. Tara may also be reached at amataveritas@gmail.com. To find Him, the greatest human achievement. Many people often wonder why the nuns chose to live an enclosed life and what do nuns do all day? And you yourself might wonder why our friend Tara, is considering leaving all things behind to join a monastery. In our future bloggings, we will give you, our readers, a peek into the life of the contemplative nuns, our history and the love that urges us to do what we do. But for now, let us be content with the final words from our St. Bede the Venerable…Our Savior attests to this: Behold I stand at the door and knock; if anyone hears my voice and opens the door, I will come in to him and eat with him, and he with me. On hearing Christ’s voice, we open the door to receive him, as it were, when we freely assent to his promptings and when we give ourselves over to doing what must be done. Christ, since he dwells in the hearts of his chosen ones through the grace of his love, enters so that he might eat with us and we with him. He ever refreshes us by the light of his presence insofar as we progress in our devotion to and longing for the things of heaven. He himself is delighted by such a pleasing banquet. St. Matthew, pray for us!